Research Matters | Research based news stories & highlights in science, engineering, technology & humanities in India. 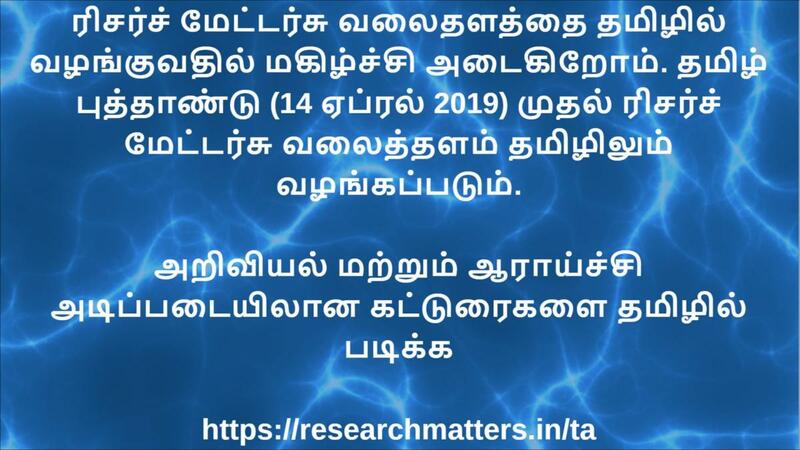 We are happy to present science/research-based stories in Tamil! Research Matters is also available in Assamese, Hindi, Kannada, Marathi and Tamil! Feedback and Suggestions welcome! Please email it to: editor [at] researchmedia [dot] center.